Looking for ways to take your employee benefits package to the next level? Consider an attractive retirement plan. Quality retirement plans can offer both employees and employers a wide range of benefits, including tax savings and higher worker retention. There are also many retirement options to choose from, such as 401ks, 403bs, and IRAs, which allow businesses to tailor their benefits package to their unique budget and preferences. 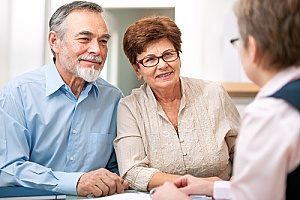 Here is a look at some of the top reasons employers choose to offer retirement plans to employees, and why you should consult with professional financial consultants before making a decision. One of the first things new job candidates look for when applying for a job is a good benefits package that includes must-have policies like retirement. If you do not offer a retirement plan, your business will often stand out from your competitors. A quality retirement plan is an excellent way to attract and retain new talent as it gives your business a competitive edge. Although retirement plans are commonly provided by larger corporations, many smaller businesses are now starting to offer these benefits. As an employer, you provide for your employees through a fair salary, paid vacation time, and medical care options. If you have not yet adopted a retirement plan, what are you waiting for? A retirement plan can be an excellent tool for increasing employee loyalty and maintaining valuable employees. Many employees are not as willing to give their full potential to a company who is only willing to offer the bare minimum. By providing your employees with an attractive retirement plan, you can show that you are willing to invest in your dedicated workers. An increase in employee morale is another major benefit of offering retirement plans to your employees. When you offer a retirement plan, you are showing your workforce that you understand and want to address their unique needs. When your employees feel valued, they will likely be more dedicated to their jobs and will often be more loyal to your company. Providing your employees with the benefits they need also boosts their happiness, which in turn increases morale and overall productivity. Most workers place a high value on retirement benefits and use these benefits as a major contributing factor when considering whether to take a job. Offering retirement plans to your employees also comes with certain tax advantages. Employee contributions to retirement plans are often tax-deductible, meaning significant savings for business owners. Much like other benefits that employers pay for; contributing to an employee’s retirement savings can help lower a business owner’s overall corporate taxes. Some businesses may also be eligible for certain tax credits if they choose to establish a qualified retirement plan. Employees are also able to lower their tax liability with the more that they contribute towards their retirement. When you offer a retirement plan to your employees, know that you can use this to your advantage to invest in your own retirement plan. Retirement plans can be advantageous to both employers and employees in a number of ways. First, you may see potential growth of your investment earnings that are tax deferred when you take a distribution or withdrawal. You may also see a reduction in your income tax bill in the present or future when the retirement funds are withdrawn. As a business owner, you can typically invest more in a business retirement plan than with an IRA. Another major reason to offer retirement plans to your employees is the advantages that come with long-term compounding. The sooner that an employee begins contributing to their retirement plan, the more time there is for growth potential. It is important to remember that all contributions that are made by employees are made on a pre-tax basis, meaning that they are tax deferred and reduce your taxable income. Taxes do not need to be paid on contributions or earnings until the money is withdrawn from the plan at retirement. Most employees are more likely to save for their retirement if their employer offers retirement benefits. Offering a retirement plan can have a positive impact on employee productivity, morale, and overall happiness. It can also be a selling point when job candidates are deciding whether to work for your company or your competitor. Offering a retirement plan can also be beneficial for employers. In addition to increasing employee loyalty, business owners can also face a lower tax burden. To learn more about retirement plan options or why you should offer retirement plans to your employees, contact the professional financial consultants at Incisive Financial Group.